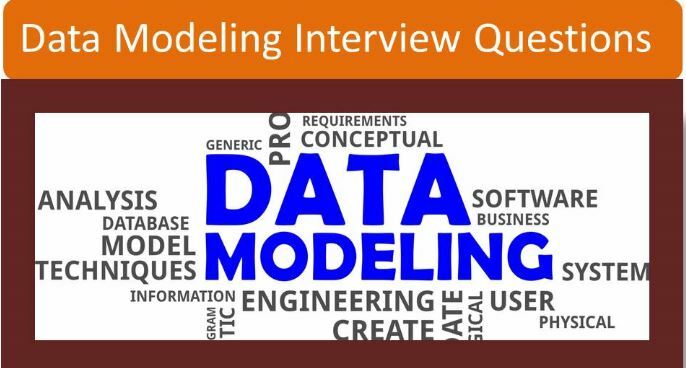 “Data Modeling Interview Questions” are useful for preparing “Data Modeler /Data Architect” Interviews. These Data Modeling Interview Questions are useful for Beginners as well as Experienced Data Modeling Professionals. 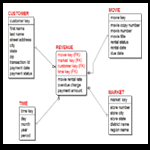 What is your APPROACH to start a Data Model? What inputs do you need for BUILDING a data model? What are 5 differences between OLTP and OLAP? What are various differences between CONCEPTUAL data model and LOGICAL data model? What are the activities carried out in a Physical Data Modeling? How are SUPER TYPE SUB TYPE relations resolved in Physical Model? What type of STANDARDS need to followed in “Naming” table/columns? What are “DOMAINS” in Data Modeling? How to VALIDATE a Data Model once it is completed? What is difference between “ODS-Operation Data Store” and “Data Warehouse”? Explain “Identifying ” ,”Non-Identifying” Relationships? Explain difference between “Primary key” and “Unique key constraint”? Suggest few “Audit Trail” columns? What information is available in a “Mapping Document”? Orders table doesn’t have a PI/PK and has Duplicates. What is the best way to eliminate them? What are Non Functional Requirement? What are the phases in a Dimensional Data Modeling Life cycle? What are different FACT types? What are different types of DIMENSIONS? What is “Degenerate Dimension” , Give an example? Give an Example for “FACT LESS Fact”? Explain “Additive Facts” ,”Non Additive Facts” ,”Semi Additive Facts” with an example? What are “Fast Changing Dimensions”? Explain “Star Schema” and “Snow Flake schema”? What is “Balanced Hierarchy” ? Explain SCD Type1, Type2, Type3? How to check the presence of “Unicode Data” during Data Profiling? First “Fact Table data” need to be loaded, then “Dimensional Data” came later , how will you handle? What are different types of Relationships? How do you resolve Many-Many Relationship? Explain First , Second, Third Normalization? In a large model created in ERWIN how to check for non-conformances/violations of standards? With reference to ERWIN what is “Name Hardening”? What is “Complete Compare” feature? What is a “Naming Standards File”? How do you enforce “Data Type Standards” in Erwin Tool? How do you create “user defined data type” (UDP) in ERwin? How do you Create “Domains” in ERwin Tool? How do you enforce “Business Rules” in Erwin ? How do you create “Default Values” for an attribute in Erwin? How do you create “Check Constraint ” in Erwin Tool? What is the use of “Reports Designer” in ERwin Tool? How do you import a data model into Erwin from other Data Modeling Tools (Power Designer etc) ? How do you deal with “Meta Data” in Erwin Tool? 0 responses on "Data Modeling Interview Questions | Dimensional and ER Modeling | ERwin"